East and Central Africa Bantam weight boxing champion Fatuma Zarika is full of confidence ahead of her fight against Delfine Persoon at the At Sporthal Schiervelde, Roeselare in Belgium. 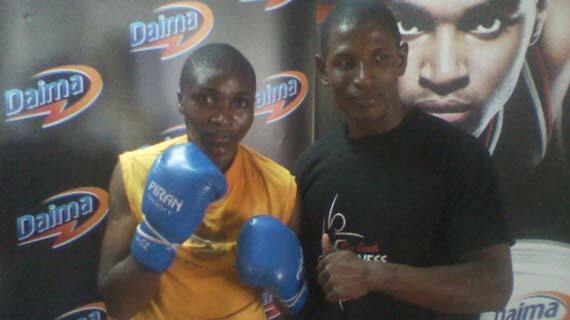 Zarika is expected to depart Nairobi on Thursday 21st for the eighth round Bantam weight non title bout with the Belgian on Saturday. “Last year was disappointing in my boxing calendar; several fights were postponed or called off, the notorious one being with Ugandan Hawa Dawa in October. It was hurting and discouraging.” Zarika says. “It hurts to see promoters use boxers to enrich themselves .However at this point I am focused on the match. I will give my best to win the fight.” She said. “The advantage with both of us, is that we have little or no knowledge concerning the opponents, psychologically that is great because one is able to approach the fight very much focused.” She said.